You don’t have to be an expert in artificial intelligence and big data to make the most of the technologies. When it comes to deploying and operating artificial intelligence and big data solutions, IT professionals are likely to approach projects with caution — for good reasons. The technologies are rapidly evolving, and before you dive head first into the waters, you want to be sure you understand what lies beneath the surface. There’s good news on this front. There is a growing ecosystem of knowledgeable service professionals to help your organization make the most out of new and emerging AI and big data technologies. That’s precisely what Dell EMC Services does. It gives you access to the resources you need to get help when and where you need it — and when it comes to Dell Technologies solutions, no one does it better. Here’s a look at some of the ways that our services professionals can help you capitalize on AI and the growing volumes of data from your corporate systems, the Internet of Things, social media and other sources. If you’re just getting started, Dell EMC Consulting can help you define how big data and analytics can transform your business through the Big Data Vision Workshop. Using a proven 3-step methodology, our experienced consultants work with your business and IT stakeholders to envision, identify, and prioritize big data business opportunities and use cases, as well as provide a roadmap for executing that vision. Once the high-value use cases are defined, Dell EMC Consulting provides the strategic guidance and technology expertise to help customers plan, implement and continue to optimize big data and data analytics solutions and infrastructure to gain actionable insight and value from their data. This includes the architectural work, which is required to define all of the components of the big data solution. Dell EMC Consulting provides seasoned experts that have “been there and done that” with organizations of all sizes, to deliver the solution architecture that is customized for each organization’s unique requirements. To truly affect change through big data and analytics, our consultants also help bridge the people, process, and technology needed to achieve the desired outcomes and maximize investments. For the Ready Solutions for AI, Dell EMC Consulting services are available to help your organization implement and operationalize the technologies and AI libraries, and scale your data engineering and data science capabilities. These services are designed to accelerate the time-to-value through expert integration and knowledge transfer, including architectural recommendations and advising on industry-proven best practices, tools and processes. Our deployment services are designed to help you accelerate your technology adoption by deploying digital technologies faster, with less effort and more control, while making sure your new solutions fit your environment. Need configuration, installation and integration for new systems, including the new Ready Solutions for AI? Our deployment experts and innovative, digital tools can help get there sooner. 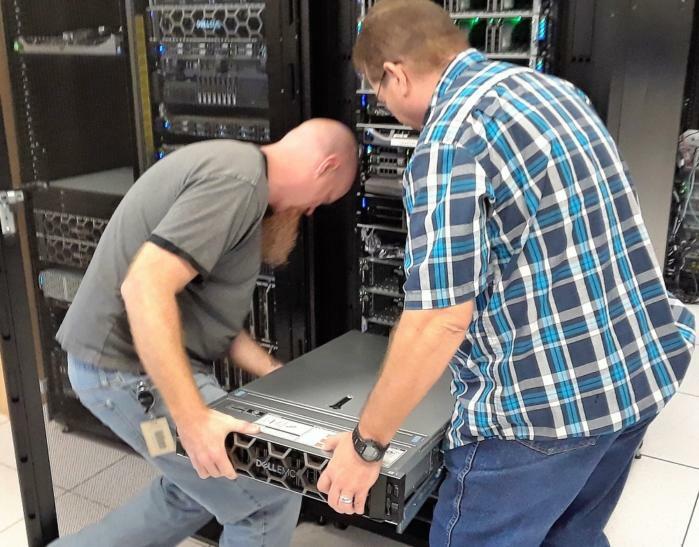 Once your Dell EMC solution has been deployed, our highly-trained ProSupport experts provide comprehensive hardware and collaborative software support to help ensure optimal system performance and minimize downtime. Dell EMC maintains over 170+ third-party Collaborative Support agreements to assist with escalation management. While other companies claim collaborative support, Dell EMC offers to serve as a single point of contact, provide escalation management, and stay engaged until the issue is resolved. This service commitment will help you not only cut costs and increase productivity, but also lessen the burden on staff resources who are already managing too many day-to-day administrative tasks. Dell EMC Education Services offer courses and certifications on Data Science and Advanced Analytics and workshops on Machine Learning in collaboration with NVIDIA to develop the solution and technology skills needed to fully leverage your AI capabilities. Comprehensive training and validation on Dell EMC solution components, such as Isilon, PowerEdge and more are also available. Thinking about a proof of concept? Think about working with the professionals at one of our Customer Solution Centers (CSCs). These centers give you an opportunity to work with experts to design, build, test and explore solutions. When you engage with a CSC, you work with our subject matter experts in our dedicated labs — stacked with the latest and greatest products and solution showcases. Remote connectivity enables you to include global team members or work with us from your own location. There’s a moral to this story, and it’s really quite simple: You don’t have to know everything about AI and big data to make the most of the technologies. You just have to pick the right partners. Dell EMC case study, “Safer Driving,” June 2018.